JAXSAN AG-102 is a high gloss semi-elastomeric coating for interior or exterior applications. It is ideal for applications where you desire the look of an oil-based enamel paint and at the same time require consistent performance of a flexible and elastic sealant. Thanks to its elastomeric qualities, AG-102 resists cracking or chipping and easily adapts to the applied surface. Chief benefit of this product is the ability to seal metal roofs with a highly durable coating with low dirt pickup. Reflectivity factor of 89.5% is possible by using white. JAXSAN AG-102 is an acrylic, elastomeric coating manufactured for use over surfaces requiring FSIS inspection. Under USDA directives Jaxsan AG-102 is acceptable for incidental” food contact or for “indirect” contact with food materials under FDA directives. Manufactured using acrylic polymer emulsion, JAXSAN AG-102 is available in White, Tile Red, Tan, Hunter Green, and Light Gray colors. Other colors are available as well at an additional charge for colorant and matching. All you need to do is submit a color chip to the sales representative for approval. The most common applications include applications over primed steel roofing panels, coating over elastomeric coatings (non-silicone based), wood, primed cement coating surfaces and any previously painted surfaces. 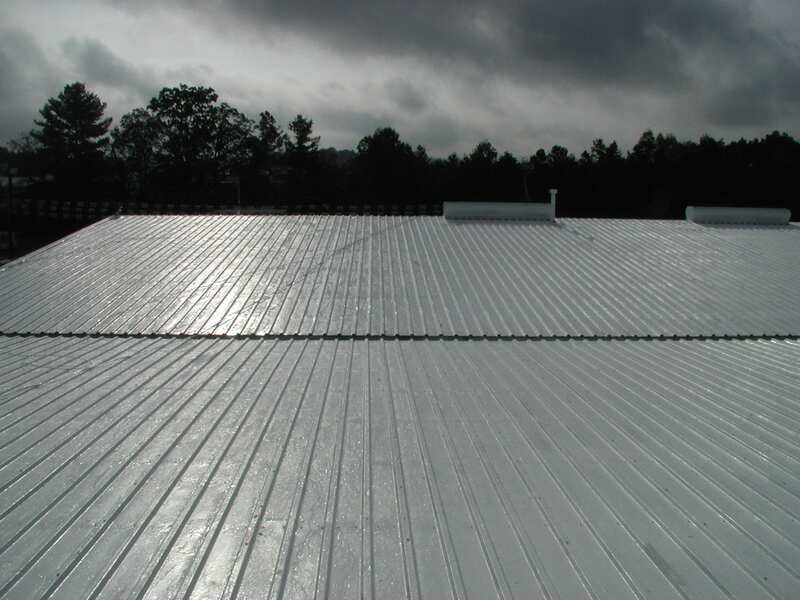 Flexible metal, such as aluminum and clean galvanized steel (Ductwork and roofing panels), are good applications for AG-102 because the coating adheres well to these surfaces and is flexible enough to move with the surface. JAXSAN AG-102 is formulated according to USDA standards for incidental contact with meat and poultry products. In case of any questions or to request detailed literature, feel free to contact us!